April has been an exciting month for me and you’ll find be finding out why! I only have 2 beauty faves this time around so let’s get straight into it shall we? 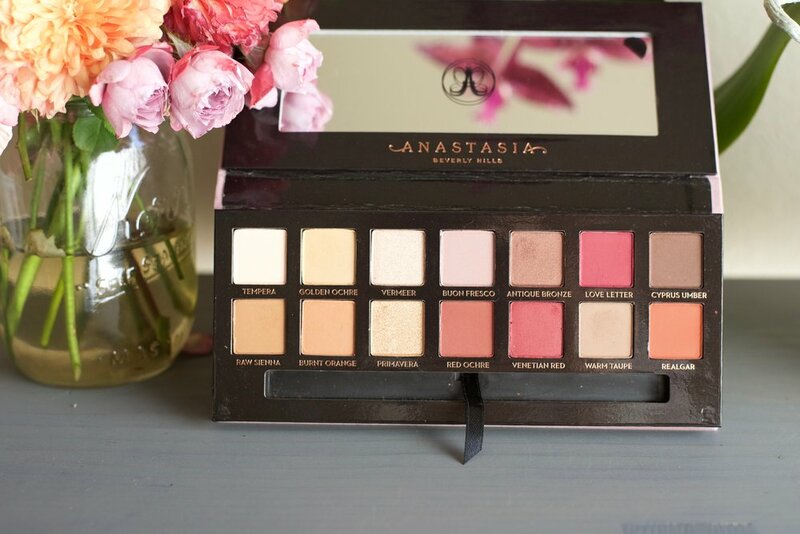 So, my first beauty fave this month has been the Anastasia Beverly Hills Modern Renaissance Palette. I know I’m so behind on this, but I’m still so excited about it! The quality of the shadows is next level and I can finally see what all the hype was about. The shadows are soft, pigmented, and they blend like a dream. The color range in this palette is just borderline of what I’m comfortable with. The neutral shades are so gorgeous and the berry tones are just right for when I’m feeling more adventurous. I’ve never used eyeshadows like this and I am in love! Galifornia!! This blush is gorgeous. It’s a bright coral that is such a happy looking color. I love how fresh and healthy it makes me look. Lots of people have been complaining about how the gold shimmer rubs off after dipping your brush in it. I don’t think it’s a big deal and actually prefer it without the gold. If I really am feeling in the mood I’ll just add on a gold highlight. 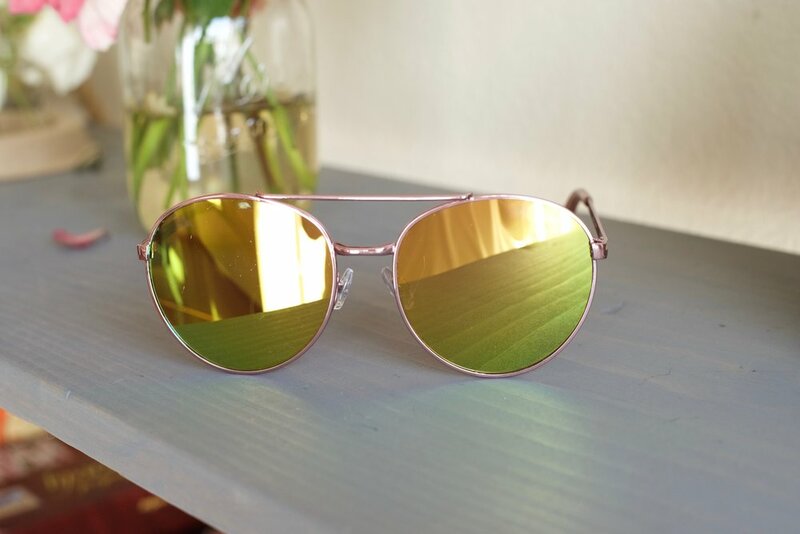 With the sunny skies and warm weather approaching, I picked up these sunglasses from Nordstrom. They’re super budget friendly at $12 and they protect my eyes from the rays and brightness. Eye and skin health, check! I don’t believe in buying designer sunglasses so anything $30 and under are my go-tos. And finally, my last, best favorite for April! My husband and I added to our family with a new puppy! We always planned to have two dogs and we got our second one a few weeks ago. She is currently 11 weeks old and we named her Penny. Chip, our first doxie, is Penny’s great uncle. She has been such a joy and we’re so happy to complete our dog family with her. That concludes the month of April! Hope you all had a great one and looking forward to May!